assortment of luscious desserts. Bravo has that unique charm that makes everybody feel like a local, See you there! 4-7 pm; 2-4-1 drinks; M-F.
$12 includes soup or salad and garlic rolls; You will be charged for additions/substitutions. with Meatballs or Italian Sausage. $6; 2-4-1 Drinks, all Beer, Well and House Wine included. Fresh mussels sauteed in white wine and garlic, served with crostini. Also available in red sauce. Baked with diced tomato, red onions, and Italian herbs. Glazed with imported cheese and served with crostini. Also available with mussels. Fried with marinara sauce. Grilled, with seasoned vegetables sauteed in pomodoro sauce with a touch of white wine. Burrata served over sauteed tomatoes, with arugula, crispy prosciutto, hint of cracked black pepper & drizzled with extra virgin olive oil. Served with crostini. marinated shrimp grilled served over a bed of fresh sauteed spinach dusted with gorgonzola. marinated in extra virgin olive oil and garnished with paper thin sliced red onion. fresh mozzarella with tomato, basil, roasted peppers, marinated mushrooms, red onions, and balsamic vinegar. marinated shrimp sauteed with garlic, butter, creole seasonings & Worcestershire sauce, served over grilled locally made artisan rustic bread. topped with fresh diced tomato, parmigiano, basil, and olive oil. Whole Wheat Dough $2, Shrimp $7.95, Chicken $6.50, Extra toppings $1.50. wild mushrooms, caramelized onions, roasted garlic, asiagio cheese, and a touch of marinara. spinach, wild mushrooms, basil, imported cheeses, and fresh diced tomato. house made Italian sausage, pepperoni, grilled peppers, mushrooms, mozzarella, fresh basil, and tomato sauce. grilled chicken, spinach, caramelized onions, parmigiano, goat cheese, fresh basil, and tomato sauce. tomato sauce, mozzarella, parmigiano and fresh basil. tossed with extra virgin olive oil and lemon, a touch of balsamic vinegar, topped with diced tomatoes, and slivers of parmigiano. with house made Tuscan croutons. fresh shrimp, scallops, calamari, clams and scungilli marinated in virgin olive oil and Italian herbs, served on a bed of fresh greens and garden vegetables. spaghetti, angel hair, linguine, penne, ziti, rigatoni, fettuccine, ww linguine, gluten free spaghetti; Pasta entrees are served with choice of mixed green salad or a cup of soup & house made garlic rolls. All Pasta Entrees are served with mixed green salad or cup of soup and house made garlic rolls. linguine with shrimp, scallops, calamari, mussels and clams sauteed in garlic white wine and a touch of tomato sauce. linguine with shrimp and scallops sauteed in white wine, garlic, and marinara sauce. angel hair with shrimp, tomato, shallots, and tarragon in garlic butter glazed with imported cheese. linguine with jumbo shrimp sauteed in white wine, garlic, and butter. linguine with grilled calamari and seasonal vegetables sauteed in a delicate tomato sauce with a touch of white wine. Linguine with red or white clam sauce. Also available with mussels. angel hair with wild mushrooms sauteed in garlic and olive oil. angel hair with grilled vegetables and chicken francese. ziti with grilled chicken and fresh seasonal vegetables sauteed in garlic and olive oil. pasta layered with house made Italian sausage, beef, and imported Italian Cheese. penne with house made ground Italian sausage in a tomato sauce with white wine and garlic. penne with prosciutto, mushrooms, peas, and herbs in a pink vodka sauce. handmade spinach and cheese filled ravioli in fileto pomodoro sauce. pasta filled with ricotta and parmigiano baked in marinara sauce. cheese filled pasta with butter, cream, and parmigiano. rigatoni tossed with sliced house made Italian sausage, diced tomato, sweet onions, basil, garlic, and olive oil. gluten free spaghetti with fresh seasonal vegetables sauteed in garlic and olive oil. fettuccine with butter, cream, and parmigiano. angel hair with broccoli sauteed in garlic, olive oil and parmigiano cheese. penne with fresh diced tomato, basil, garlic, and olive oil. ziti baked with a blend of imported Italian cheeses in tomato sauce. All Pasta Entrees are served with mixed green salad or a cup of soup, spaghetti with marinara, and house made garlic rolls. twenty -six ounce prime veal shank braised in a red Italian herb sauce. Grilled New Zealand baby lamb chops atop sauteed spinach, wild mushrooms and roasted red peppers. Garnished with goat cheese and a balsamic glaze with potatoes di giorno. eight ounce grilled filet mignon in a cabernet wine sauce with potatoes di giorno. veal scaloppini sauteed with artichoke hearts, roasted red peppers, mushrooms, and sweet onions in a marsala wine sauce and glazed with imported cheeses. Medallions of veal over sauteed spinach and prosciutto. Smothered in marsala wine sauce with mushrooms and glazed with imported cheeses. veal sauteed in white wine, lemon, butter with artichoke hearts, and capers. veal sauteed in marsala wine with mushrooms. breaded veal cutlet with tomato sauce, parmigiano, and mozzarella. veal dipped in batter and sauteed in white wine with lemon and butter. chicken breast, topped with spinach, prosciutto, and gorgonzola cheese in a francese sauce. chicken breast stuffed with spinach, pancetta, garlic, shallots, and imported Italian cheese; Served with francese sauce. chicken breast baked with eggplant, mozzarella, parmigiano, and tomato sauce. boneless chicken breast and house made Italian sausage sauteed in mushrooms, tri- colored peppers, black olives, pepperoncini, white wine and garlic. chicken breast baked with mozzarella, parmigiano, and tomato sauce. grilled chicken breast with broccoli, mushrooms, and grilled tomato. chicken breast dipped in batter and sauteed in white wine with lemon and butter. Filled with ricotta, parmigiano, and basil. Topped with marinara sauce. breaded eggplant layered with mozzarella and parmigiano and baked with marinara sauce. Great food and happy atmosphere. This is consistently a good place for Happy Hour as well as dinner. I bring all my friends here for a comfortable, relaxed and always enjoyable dinner. Bravo was recommended by my hotel. Amazing Italian food and great service. So good I went back twice during my stay! Highly recommended! Drive right by the chain restaurant. Bravo is a Great locally owned and operated Itialian Restaurant. Absolutely stellar service (Anthony was our waiter) and amazing food. Probably the best Lasagna in South Florida. Very nice wine selection. Everything about this place is spot on!! Been there many times. We sat outside and the waiter must have been very busy because the attention was not up to usual. Although our server had two tables with large parties at the same time, she arranged to get our order in at strategic times so we would not need to wait for the kitchen to process big orders and have the timing of our meal erratic or delayed. Food was great, service was attentive and prompt despite the large groups, and we were pleased with the total experience. Awesome food and service. Bravo never disappoints. Music was way too loud - I could hardly hear my out-of-town friend whom I met there. Waiter was ok - not great at describing dinners, nor did he check back on us very often. Last time I visited it was not so loud and better service. 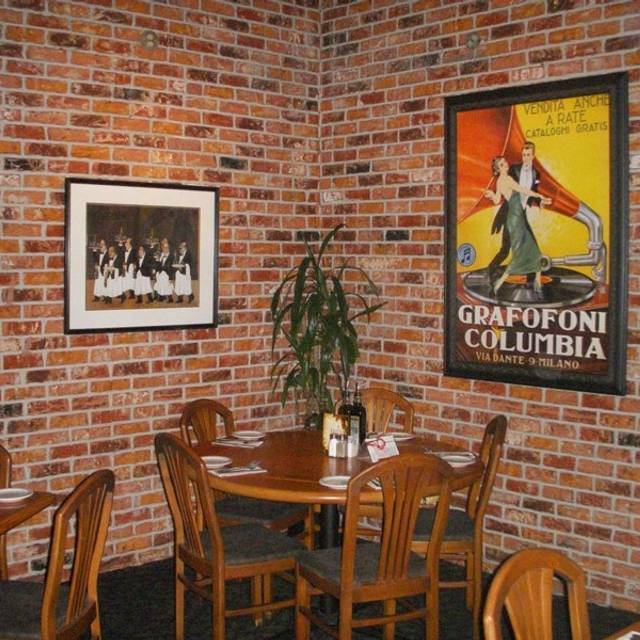 We always enjoy Bravos Have been going there on and off for years. Lasagna was hard. Service spotty. The first time I dined here it was wonderful. The second time was disappointing. The waiter was bizarre. He told us he toasted our garlic rolls. He ruined them. He put them on the table before we got our salads so they were close to cold once we ate them. I’ll come back but I’ll definitely be more observant about who’s station I am sitting. The food was average and prices high. Good service and atmosphere. If you plan to dine outside, and it gets busy, the service becomes very slow. Three times later this has happened to us. We didn’t get our wine with dinner. Pasta was delivered and by the time we finished, we finally got the cheese we asked for. They need more than one server outside. The server doesn’t seem able to serve everyone drinks and food in a timely manner. Spoke to the manager again about this. Maybe one time they will listen. Afraid to go back now. Having moved away from Fort Lauderdale, it is a must for us to go back to Bravo when we return to visit south Florida. Well run operation. Food came hot. Professional staff. Our server, Justin, was excellent. The staff/ mgmt at Bravo always makes us feel welcome and the food is consistently good. Very good value, excellent service and the meal was delicious! Chicken parm with the garlic parm sauce was great! Been going there for 15 years, food and service has always been excellent. The Garlic Rolls are out of this world! We were unhappy that the pasta fazool had too much pasta and one bowl was not hot. The drink ordered was too strong. The main meals were very good as were the rolls. Service was okay but not great. We tried Bravo for the first time. We dined from their 'happy hour' menu. It was great. We had sausage and pepper sliders for an appetizer and lasagna for the entrees. Our dinners came with garlic rolls and salad. Everything was delicious. Our server Tim was excellent. We are looking forward to going back to try some other menu items. All and all a terrific meal. We have been going to Bravo for 20 plus years. It is a good place to take guests when visiting us, the menu has so many choices, it is always good. We love the salad and the rolls are so yummy!! !I asked for a "quiet" table or booth, and it was mentioned when we arrived. We will return!!! Fantastic service, food, value and atmosphere! Always a treat Year after year. I highly recommend this restaurant! Our favorite restaurant when we come to town. Huge menu and lots of great choices. Tim our server was very attentive and suggested menu items. We ate at Bravo on New Year's eve and it was fantastic. Great menu options and the food was prepared perfectly. We had appetizers, dinner, and dessert. All four of us had a different dinner and thought it was excellent. Server was very attentive without being cloying and anticipated our needs. I would highly recommend this to everyone. One note, it is a little pricey so it might be reserved for a special occasion or business meal, but otherwise definitely a "must eat." Food was just ok. Marinara sauce tasted like it came from a jar. Spaghetti was like mush. Portions were small for the price. Manicotti and filet were decent. Service was average. We had to complain to the Maitre D before even seeing a server...15 minutes after being seated. Food arrived cold and almost tasteless. Very tasty meals. Very generous alcoholic drink pours. Here is the only problem with Bravo...the one waitress that we seem to get every time. She is friendly, and we get our orders in bu we never see her again. Food runners bring the food out. I had to go up to the bar myself to get a glass of wine. And I hailed down a busboy to ask for some grated parmesan cheese. By the time we had everything "right," our food was cold and our dinner was about over. Forget about trying to get crushed red pepper flakes. I hate to complain about service. Wait staff work hard and are often faced with rude customers. But this time, after three similar frustrating visits with the same waitress, I mentioned it to the manager. I only wanted him to know what is happening in his restaurant. I love this neighborhood place. We see our friends and neighbors every time we eat there. Been going there for years! But that waitress ruins everything. very good food and great service by Cindy; we always enjoy a meal at Bravo and go there often. Food was good and came out fast, but our server over charged us and kept making mistakes at all the tables around us.